A record order. For France, at least. It’s the one signed by DPVA (Dracénie Provence Verdon agglomeration), which purchased a group of 37 Iveco Crossway Natural Power, coach version. They will be operated by Beltrame Group. Six further Crossway Low Entry Natural Power will be delivered in April. The Crossway Natural Power, in the Low Entry version, won the Sustainable Bus Award 2018 in the Intercity category. The six that will arrive in April will be the first to enter into circulation in France. The vehicle has already been ordered in the Netherlands and the Czech Republic. This autumn the coach version, suitable for long-distance services, was presented. This type of vehicle was recently ordered by DPVA, which will receive the vehicles by the end of the year. As a result of this order, “more than 80% of Dracénie’s fleet will be fuelled by natural gas,” said Anthony Beltrame, CEO of the Group. To facilitate the fuel supply for the fleet, the Beltrame Group, in collaboration with Pizzorno, will install a methane refuelling station that will also supply the region’s methane trucks. The Crossway Natural Power has a total capacity of 1,260 litres of methane (thanks to 4 tanks of 315 litres), allowing a range of up to 600 km. The CNG tanks are integrated into the roof. This unique and patented feature optimizes the vehicle’s centre of gravity for greater stability on the road and greater comfort for the driver and passengers. 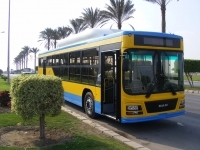 The design also makes it the lowest vehicle on the market in terms of overall height (3455 mm), which means it can be used without specific restrictions. The Natural Power range also helps conserve natural resources, Iveco Bus points out, as it is 100% compatible with biomethane, produced from organic waste. The vehicles thus have an excellent carbon balance and represent a significant step towards energy transition. The environmental benefit is a reduction in greenhouse gas production of up to 95%. The Crossway Natural Powers are equipped with a Cursor 9 NP engine, which offers the same power (360 hp) and torque (265 kW) as its diesel equivalent. “We chose to renew our fleet with natural gas vehicles to protect the environment and to meet energy transition legislation. These vehicles will be used in the 23 towns that make up the Region” said Frédéric Decompte, transport director of the Dpva. “We are particularly proud of this order of 37 Crossway NPs, the first of its size in France. 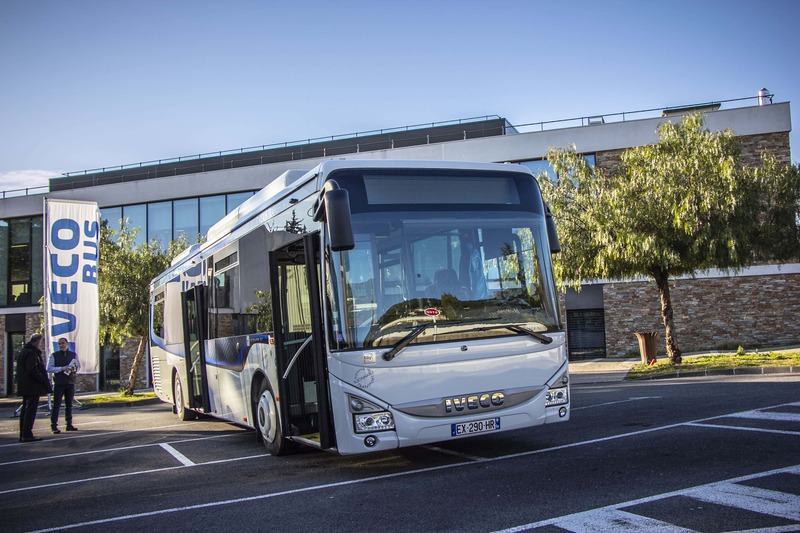 It proves once again IVECO BUS’s leadership in the field of alternative-energy vehicles that will meet energy transition legislation” said Brice Bonavia, General Manager of Iveco France.